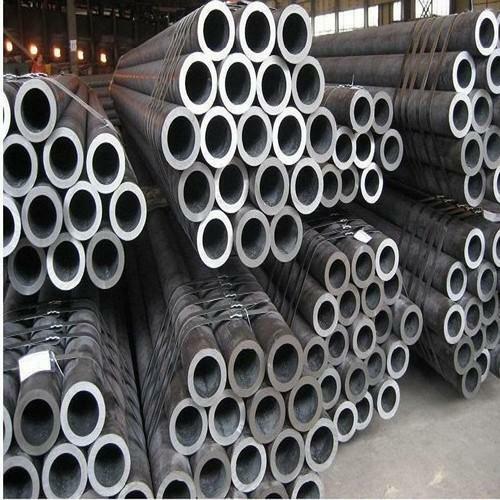 We are offering ASTM A312 TP316L NACE Pipes to our clients. We provide high-quality products to our clients. We are one of the largest, stockholders of stainless steel, carbon steel, alloy steel, duplex and super duplex steel and high nickel alloy pipes, tubes. We stock pipes in tubes in both welded as well as seamless construction. We stock pipes and tubes of well-known manufacturers of various origin such as West Europe, East Europe, Japan, USA, South Africa, India. Our manufacturers are approved by end users like Saudi Aramco, Sabic, ADCO, Adnoc, Petrobras, Petronas, Qatar Petroleum (QP), Petroleum Development of Oman (PDO), ZADCO, NIOC, etc. We can provide 3.1 as well as 3.2 certificates for the pipes. We can provide cut to size pipes and tubes also. Established in the year 1972, we, Ritinox Overseas are widely acclaimed manufacturers, exporters and suppliers of a varied array of Nickel Alloys, Stainless Steel, Carbon Steel, Alloy Steel, Titanium & Duplex Products. Our stainless steel pipes and fittings are acclaimed for their accurate dimensions, durability and corrosion resistance. Owing to this, the products we make available have attained high respect and popularity in the market. Our efforts are directed towards providing our clients best items both in terms of innovation and quality. Our organization has achieved a respectable position in the Pipes and Fittings Industry. The company has brought sound technology and innovative research & development together to manufacture cost-effective products that are made available in different sizes and specifications to all. We are fortunate to have the best team of professionals who have in depth knowledge and are conversant with latest technologies in the field of steel products. We ensure that our product range goes through different quality tests so as to ensure the maintenance of highest quality standards. Our vast clientele is spread across Kuwait, Saudi Arabia, Dubai, Libya, Syria, Qatar and the entire Middle East.